Jet Airways board is expected to meet in Mumbai today to discuss the operational issues besides the appointment of former SBI chief AK Purwar as the new chairman. The beleaguered Jet Airways has been struggling to stay afloat with its debt-swap revival plan stuck in a limbo - after the Supreme Court quashed the RBI's February 12 circular - even as its operating fleet has reportedly shrunk 80% to just 22 planes and its pilots body is threatening a no-flying call if salary dues aren't cleared by April 14. This dismal state of affairs has prompted founder Naresh Goyal to offer his remaining stake as a life vest. Goyal told the SBI-led consortium of 26 lenders to the airline that he will pledge the rest of his shares to them on condition that they release the promised interim loan funding of Rs 1,500 crore without delay, sources in the know told The Economic Times, but the response to this option is yet unclear. While the former chairman owns a 51% stake in the airline, he has already pledged 31.2% with the banks. The buzz is that Jet Airways won't be able to last more than a month if it doesn't get the entire promised emergency funding post haste. Apart from paying pending salaries to disgruntled employees, the airline desperately needs funds to repay lessors - many of whom are planning to apply to the aviation regulator to de-register their already grounded planes - and increase its daily operations. After all, until more aircraft start flying there won't be any cash generation. The sources added that Goyal sought interim funds "via a signed letter on the advice of the airline's chief financial officer Amit Agarwal". Accompanied by two Jet directors, former aviation secretary Ashok Chawla and Nasim Zaidi, ex-director general of civil aviation (DGCA), Goyal also met with the lenders subsequently. 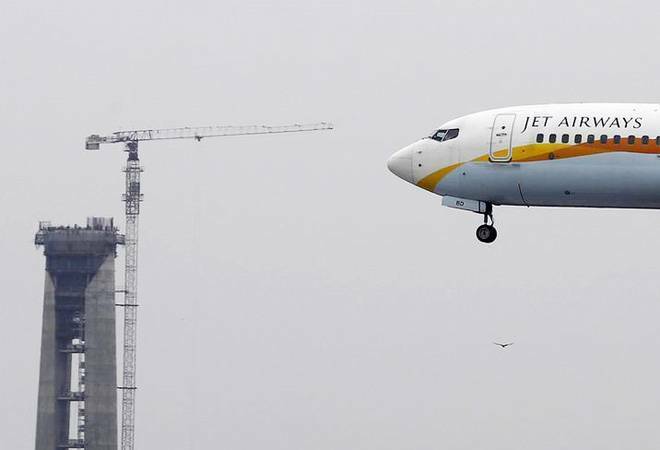 Meanwhile, according to IANS, six entities have shown interest in the bidding process for a stake sale in Jet Airways. The consortium seeking to recover dues worth over Rs 8,400 crore had invited "expression of interest" on Monday, giving investors three days to respond. On the other hand, negotiations with Etihad Airways, which owns 24% of Jet Airways and is the second largest stakeholder, have resumed after Goyal stepped down from the board. The Gulf carrier is reportedly planning a board meeting to discuss the bank-led revival plan before taking a call on whether to invest further in Jet Airways. Much now hinges on whether its demand for a waiver of the open offer requirement as per Sebi's norms is met, or not. As per Sebi's takeover code, if a company acquires more than 25 per cent in another listed company, it has to make an open offer to minority shareholders of the target firm.